Looking for something to do this month? Check out our list of February events we came up with. Weather if your single, taken, or heartbroken, this event is for you. 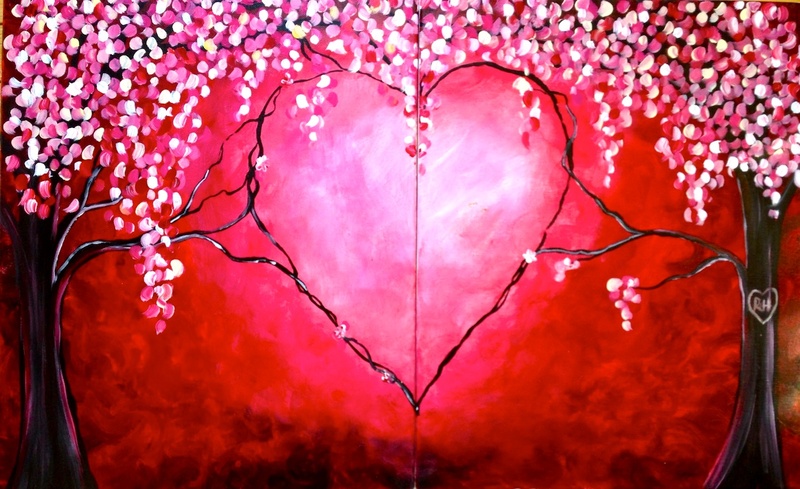 Enjoy a tall glass of wine, and let your creative side loose this Valentine’s day. Painting With A Twist is offering two different sessions, with them both starting at 7pm-9pm. Tickets are available online, costing $35 per seat. Ages 18 years and older can attend, and ages 21 and older may consume alcoholic beverages. This event is bring-your-own drinks and food, but they provide cups, napkins, plates, and wine bottle openers. Make sure you get there 15 to 20 minutes before the scheduled time, in order to get smocked and unwind a little. Looking for a unique Valentine’s Gift? Ron Sharpe & Barbra Russell first met when they were playing the young romantic leads of Marius and Cosette in “Les Misérables” on Broadway. The story they often tell us that after being married on stage hundreds of times, they decided to do it for real. Ron and Barbra (together with one or two other equally talented Broadway stars) perform the big show-stopping numbers that are audience favorites around the world—from Phantom of the Opera, Cats, Evita, and West Side Story, to Carousel, Fiddler on the Roof, and, of course, Les Miz. Tickets for the show can be purchased through West Chester University’s website. Pricing for the tickets will be $27 for adults and $22 for students and seniors. The show runs from 7:30–9:30pm. February 22nd – Blues and Brews at Uptown! A variety of blues bands will be performing, with crowd favorite Red Little Lobster headlining. Victory Brewing Company will be in attendance and offering cold brews for purchase. Raffles with free giveaways will also be available. Music starts at 6:30pm and the show goes until 10pm. This is a 21+ event. Purchase your tickets through the website. West Chester Playschool is hosting their biggest fundraising event of the year, starting at 6pm at the Ballroom at the West Side – 430 Hannum Ave. The night will be full of fun, laughter, and bidding wars at the live and silent auction. This event supports the West Chester Playschool maintain its operating expenses, and help them provide new materials, programs, and learning experiences for the children in our community. This is a free event — including food, drinks, and great deals. Ages 21 and older may attend. Ever wanted to try a yoga class? Now’s your chance to start. Presenters from the Isha Foundation will be covering an introduction to Yoga at the West Chester Public Library. Whether you decide to come to calm your mind to get away from the craziness, or if you want to engage in a healthy lifestyle, these practices were created to help with struggle and make life a little easier. Ages seven and older are able to attend. Registration sign-ups are available online. Classes will start at 3pm to 4:30pm in the community room. Chester County’s top wedding show is coming up, and you don’t want to miss it. 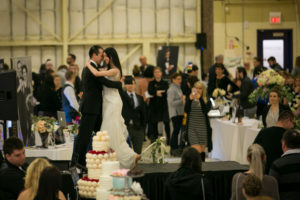 With wedding vendors across the West Chester area, will give newly engaged couples the perfect connections they’ll need for their big day. Get excited and celebrate with a glass of champagne, inspiration, and did I mention prizes? The showcase will start at 11am and last until 2pm. Registration can be completed and filled out online.